Join us as we take some time to get to know Staci, Riveroaks very own AWESOME trainer. ASHEVILLE, N.C. - Nov. 2, 2018 - PRLog -- Staci's warm and vibrant attitude is very clear. She is passionate about helping people, especially women, live their healthiest lives. Staci is a native Ashevillian. Born and raised in Asheville, she has an early childhood teaching degree, and has also lived in Boone, NC, Madison, Wisconsin, and Phoenix, AZ. 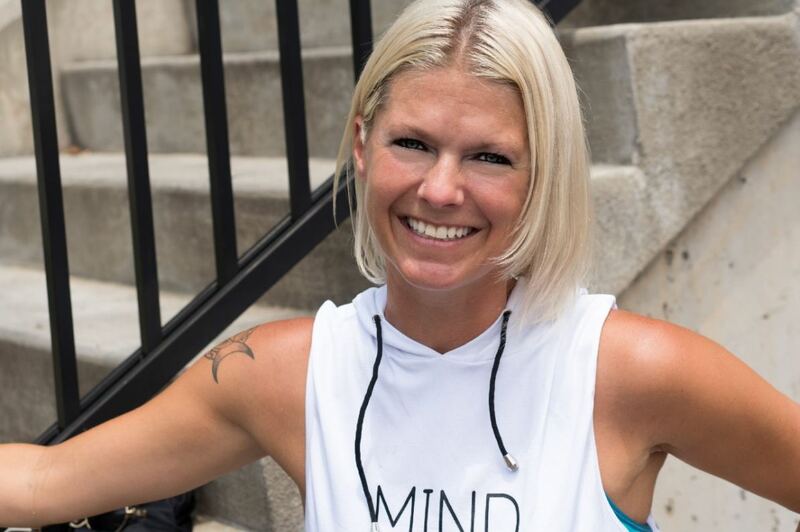 A change in her personal life prompted Staci to return to Asheville with her two children in April of 2017. Working at a hospital doing staffing, she was laid off unexpectedly. "This was hard as I have two children to support, but also it gave me the emphasis and push to consider where my life and career passions truly lay." "I had for years continually looked at how to improve my own health. I had always been into fitness. Even though I was fit, I had health issues. My doctors would think I was a hypochondriac, and as such I was misdiagnosed. Finally after consulting specialists, I was eventually correctly diagnosed. This experience was difficult and traumatic, and one I hate to see other people go through. Women in particular face these issues, so my goal is to help others be healthy, and to help them avoid the horrible experiences that these health issues have on us. This was one of the reasons I pursued Yoga, and eventually became a certified yoga instructor. "So when the push – from the layoff occurred, I realized I needed a change in my life. I looked to see where and how I could be involved in helping others. Through social media, I came across Nico and Riveroak Fitness." "Nico, Eric, and the whole team at Riveroak Fitness are an absolute breath of fresh air." "We're on the same page. The passion and desire to truly help people. Not to get a six-pack or the beach bikini body, but to work with you to change lives. Understanding what it means to live a healthy life – the need to move correctly, eat correctly, and be spiritually healthy as well." "We work to provide correct information that is implemented into our lives. Part of this is to help you move safely, exercise correctly, allowing our bodies to improve over time. Healthy living involves many things – eating correctly, movement, safe healthy exercise, ways to handle stress, discussion on pain and what is causing it and how often correct movement will alleviate this pain. To take these steps and allow them to transform these into positive habits, that's helping people." "As a woman, I understand and see that for many women over 40, a number of health issues that they face could have been avoided by taking these steps when they were younger. However even by taking these steps now, over the age of 40, can still have a huge beneficial impact and reduce or even reverse some of these issue that they may be facing." Staci is working towards her National Academy of Sports Medicine (NASM) certification and hopes to have this completed by the end of the fall of 2018. If you haven't visited Riveroak or met Staci, please drop on by. She trains people of all skill levels, from those just beginning their fitness journey, to veterans with more time spent training, so come and see how the team at Riveroak Fitness can impact your life.